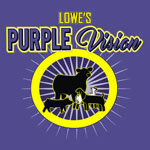 Swine Feed - Lowes Pellets & Grain, Inc.
We have many nutritional options to serve today’s swine producers. We offer a full line of swine concentrates for those producers who desire, or are better equipped to handle concentrates on the farm. Lowe’s has also been a pioneer in manufacturing high quality complete pelleted feeds or meal feeds for the grower-finisher stage. 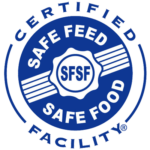 Below you will find a list of our most popular feed products for Swine. We manufacture many more products and can customize formulas for your operations. A highly palatable feed that helps newly-weaned pigs become interested in dry feed. The formula is designed to be used up to five days and encourages early feed intake. A complete feed designed for increased weight of gain and improved efficiency, with no animal by-products. Medications are available upon request. All base mixes are fed in combination with bean meal and corn. Base mix formulations for other by-product feeding, such as DDG’s, are available upon request. A base mix containing a source of phytase which can increase digestibility of phytin bound phosphorus in swine diets. A base mix for growing and finishing pigs. Provides some animal protein in the complete diet in order to meet the needs of the lean growing pig. A grow/finish base mix for producers who prefer vegetable protein only. No animal proteins included. A gro/finish base mix designed for the producer who desires feed WITHOUT Phytase. Use as a substitute for Gro/Fin 50-40. Gro Booster is an “add pac” (15 lb per ton) designed for use with Gro/Fin 50-40 Phytase, or Gro/Fin 55-45, to provide an optimum level of nutrition. A base mix for gilts and sows that can be used on the farm with corn and bean meal, to provide complete nutritional rations. Contains added Selenium for optimum reproductive and immune function. Contains Micro Aid to reduce ammonia levels.